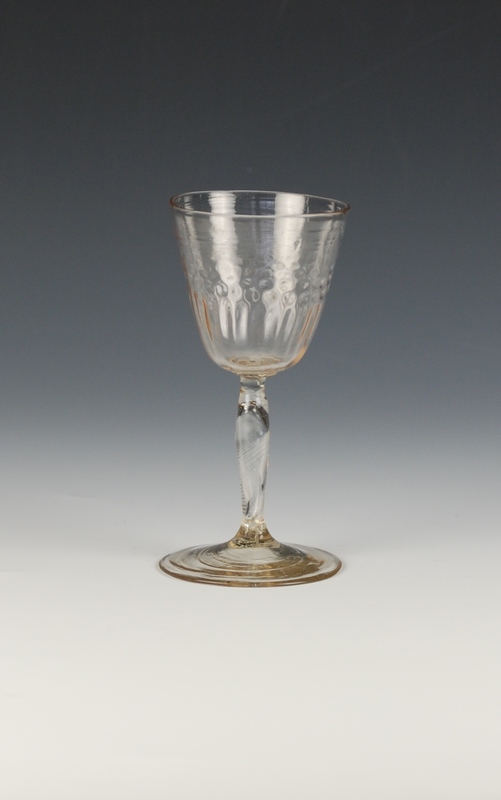 Cristallo wine glass has a bell-shaped bowl decorated with gadrooning and a thin clear glass thread circling the center. The tall narrow stem rests on a wide circular foot. 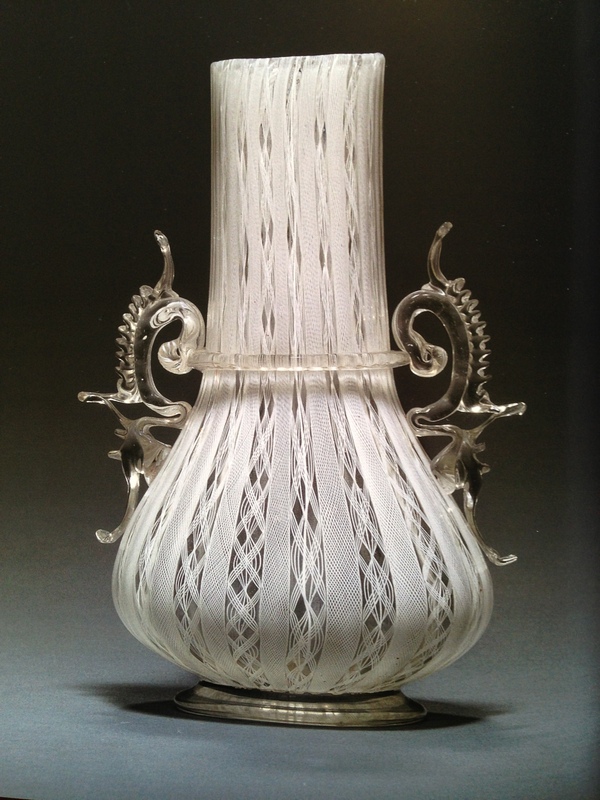 The pear-shaped body of this Venetian vase is fashioned with two styles of filigrana retortoli canes. The straight neck may have had a lid. The vessel is decorated with clear glass wing handles, single center trail and ring foot also of clear glass. A similar object is in the collection in the Rosenborg Castle in Copenhagen. 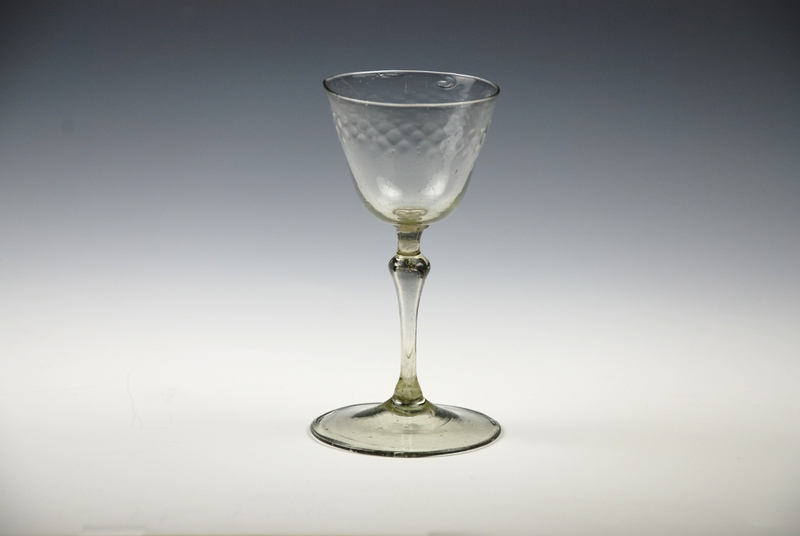 76E: is a Facon de Venise wine goblet (verre de fougere – Fern Glass) was probably made in France. 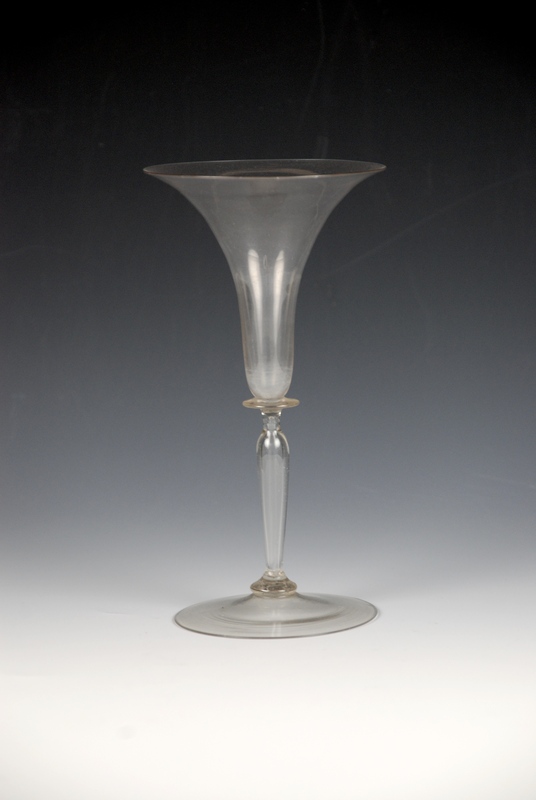 The glass has a straw tint and a conical pattern-molded bowl with a hollow stem. 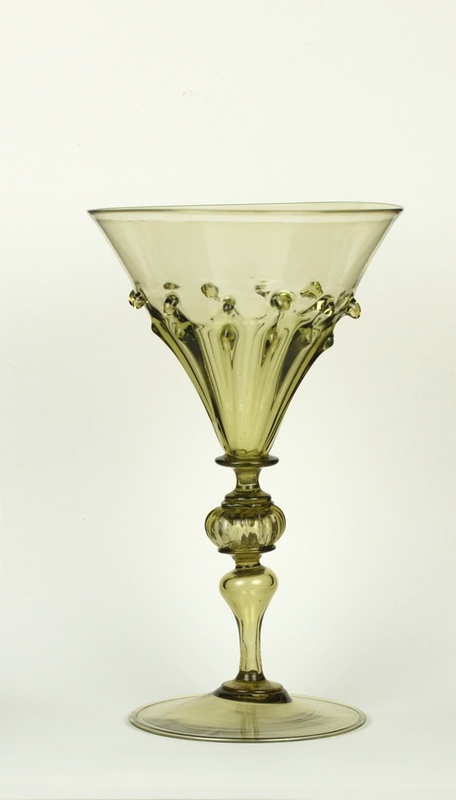 The bowl of this goblet has gadrooning with spiked terminals. The composite stem consist of a capstan above a flattened ball ribbed knop over a hollow inverted baluster knop ending on a folded foot. 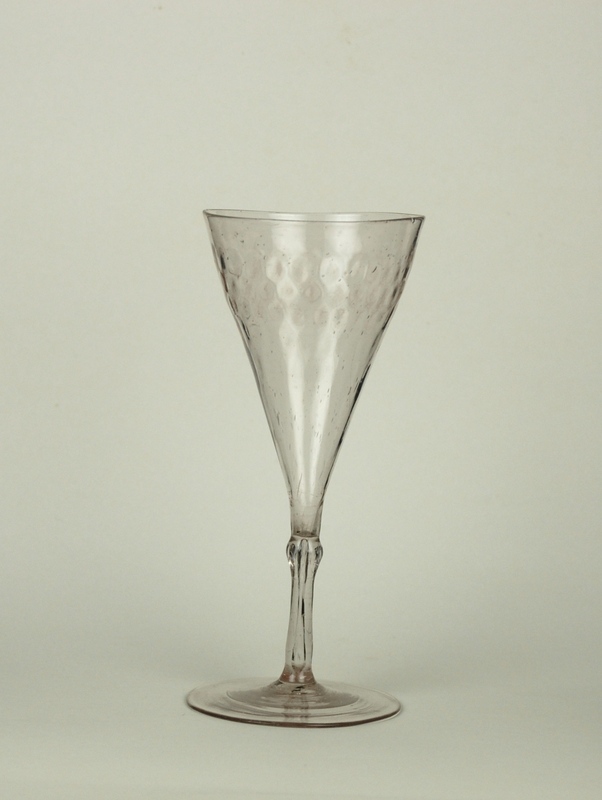 The place manufacture of the technically exquisite and beautiful goblet is unknown. 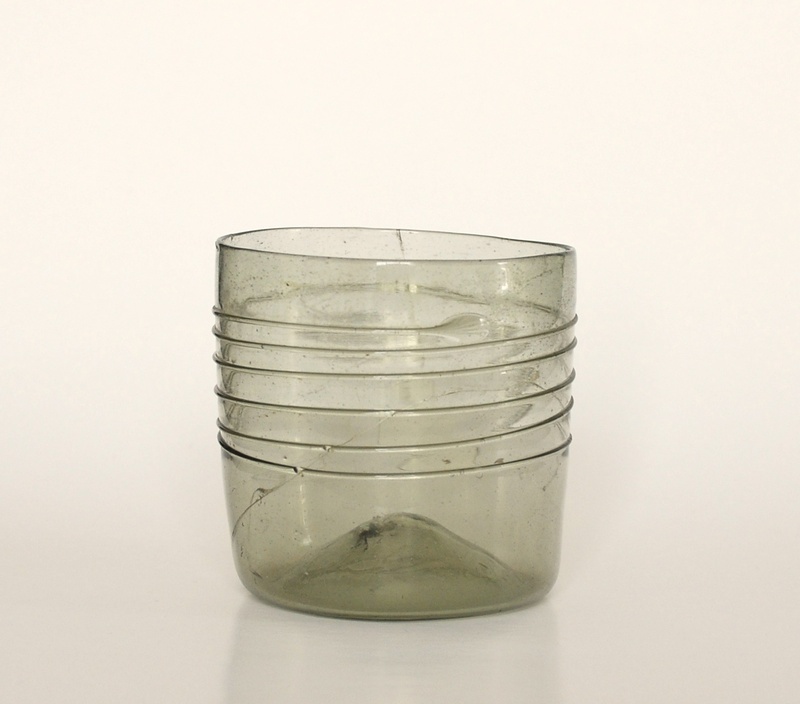 The simple shape of this beaker has been decorated by a thin trail of glass spiraling around the body. It is possible that the maker was influenced by the Venetian glass styling of the time. It was probably made in the Netherlands. 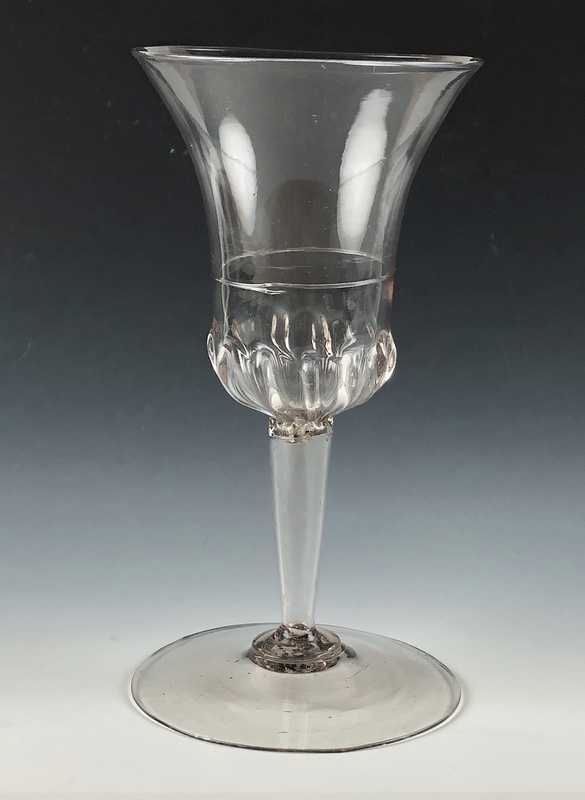 This is a fine and rare Facon de Venise wine glass. It has a flared bowl with gadrooned base on a wrythen hollow knopped stem attached to a conical folded foot. 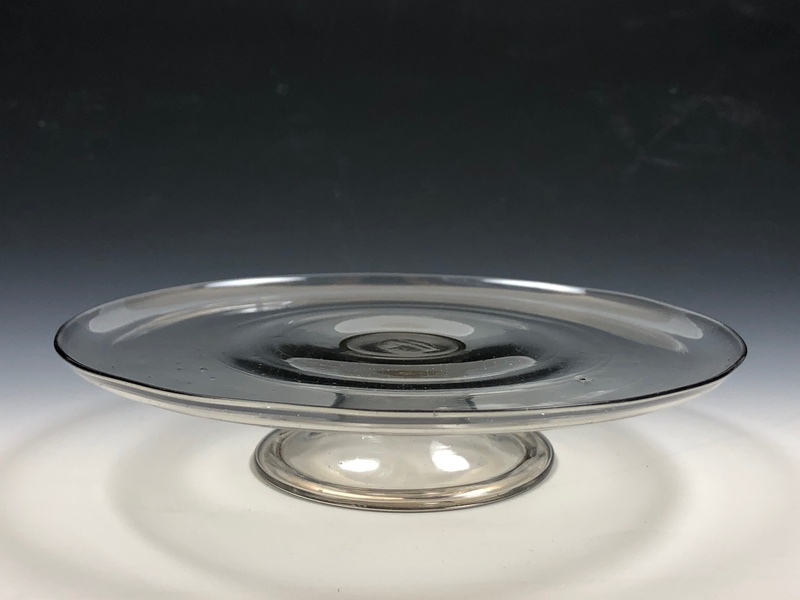 Perhaps English, from one of the Duke of Buckingham’s glass houses or from the Netherlands. 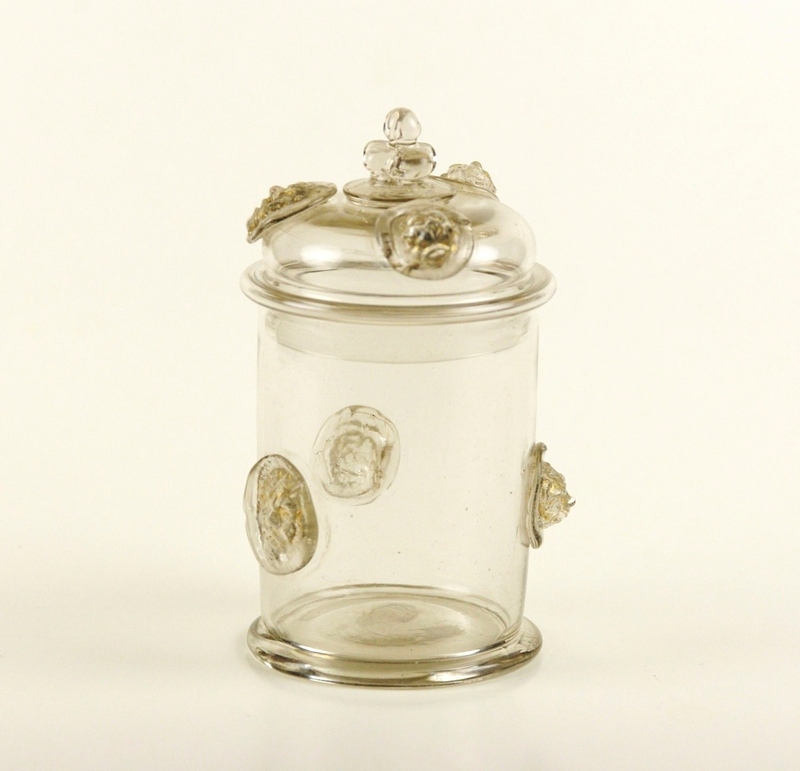 This Facon de Venise covered glass jar has a lid and body decorated with molded prunts of lion masks with traces of gold gilding still visible. Country of manufacture is unknown. This wine is made of a Cristallo glass. It has a trumpet-shape bowl with a broad mouth resting on a collar with a thin hollow baluster stem and flat circular foot. 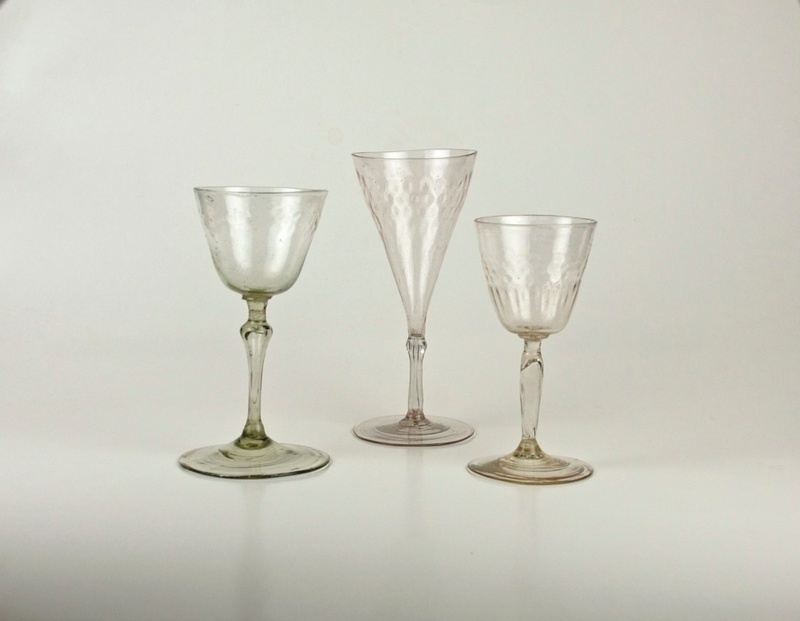 Cristallo is a type of soda glass developed in Venice before the 15th century. It was made almost colourless, pale-yellow to smoky gray, so it would resemble Rock-Crystal which is natural quartz or pure silica.